Driven by the four forces of industrialization, urbanization, reform and globalization, China's valve equipment manufacturing industry has broad prospects. The future high-end valve industry, localization, and modernization will be the main direction for the future development of the valve industry. Pursuing continuous innovation and creating a new market for valve companies can enable companies to survive and develop in the increasingly fierce competition in the pump and valve industry. According to industry sources, pump and valve companies can only effectively and clearly understand the status quo of the industry, continuously strengthen their own products, strengthen their sense of urgency, and strengthen corporate culture and market service concepts. Only by achieving steady, fast, fine, and stable Only in this way can companies survive and thrive in the increasingly fierce competition in the pump and valve industry. Nowadays, society is an era of information explosion. It is unavoidable for companies to encounter competitors on their products and there is competition in the industry. It is a good thing for some companies. Because of the competition, enterprises have improved product quality and improved service quality. Consumers have also obtained better or more consumption and services with less money. The market is a "siemens". While the industry is developing and progressing, the market is also winning and eliminating the enterprises in the industry. China has become a manufacturing factory in the world and a major manufacturer of pump valves. In the new century, China's pump and valve industry has achieved rapid development, and it is also facing fierce competition and severe challenges. Although the current status of the ball valve industry is growing, the national support policy has been greatly improved, and the market demand has been continuously increasing. 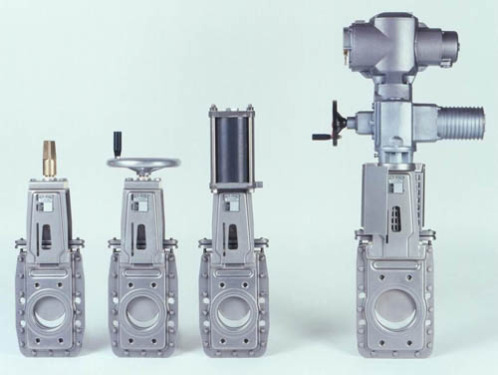 The fierce competition in the pump and valve industry has also resulted in the improvement of domestic pump valve related technologies, but many interference factors indicate The development prospects of the pump and valve industry are not optimistic. For some large and competitive companies, the scale of the enterprises has become larger and larger and the popularity has become higher and higher. However, for some SMEs that are not competitive, they may face the risk of being merged or closed down. In the increasingly fierce valve market, companies with core competencies can gain a foothold in the market, and innovation becomes a weapon for the enterprise to win the market. In spite of enormous challenges, in recent years, due to the continuous deepening of the domestic favorable investment environment and infrastructure construction policies, China's pump and valve industry will usher in a continuous growth of new opportunities for development. The company's continuous self-innovation has led to a technological advancement. A wide range of products has been in place for a long-term development. It is precisely because of such technological achievements that the pump and valve industry can always be positive and upward. To measure whether an enterprise is advanced, whether it has market competitiveness, and whether it can continuously keep ahead of competitors' important indicators, it is based on technological leadership that it can produce high-quality products and technologies. With the rapid development of China's pump market, the related core production technology applications and research and development will become the focus of attention in the industry.